Experience in hospitality or leisure may be an advantage. 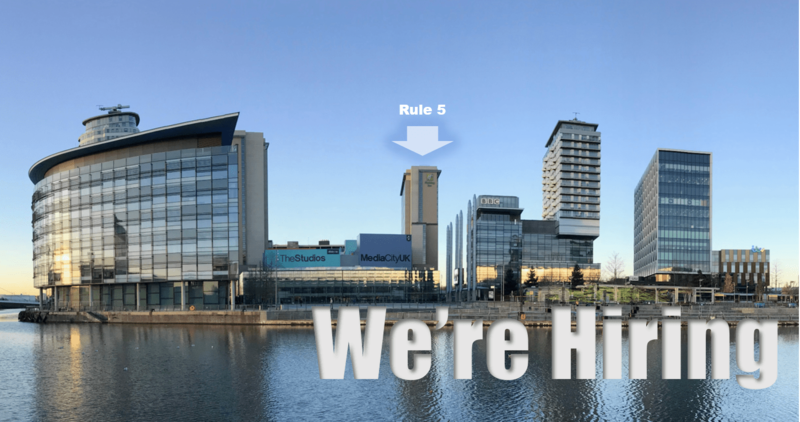 To apply send a CV and letter to contactus@rule-5.co.uk or you can use our Contact Form. Closing date March 4, 2019. We offer a limited number of work experience or internship places. They last for four weeks, we provide a structured placement and cover all of your travel and subsistence costs. If you are interested, apply following the guidance below. Rule 5 is committed to making these placements available to anyone with the ability and desire to work in PR. We actively believe that opportunities in PR should be open to all. That’s it. We’ll respond to let you know if and how we are going to take your application further.